Russell grew up in Union City, Tennessee, before his family moved to Nashville. As a teenager, Russell played the snare drum in his high school marching band but eventually fell in love with singing and playing the guitar. He went on to earn a degree in music at Belmont University in Nashville where he met his wife, Kailey, who was also in the university's vocal program. Kailey is now a talented photographer and videographer and has shot all of Russell's album covers. These two truly are a dynamic duo! Russell released his EP, “Yours,” in 2017 and it debuted on iTunes at #2 in the iTunes country store and #8 in all genres as well as #1 on Billboard’s Heat Seeker chart and #14 onBillboard’s Top Country Album chart. The album featured five songs co-written by Russell, including a stripped down wedding version of the title track “Yours" which quickly became the wedding anthem of the year and was featured on TheKnot.com’s Best Wedding Songs of 2016. Since the release of his EP, big things have been happening for Russell! He was featured on a Times Square billboard with Spotify, performed at the Grand Ole Opry in Nashville, performed on Jimmy Kimmel and Good Morning America, and even nominated for some big awards in country music. He performed at this years CMT Music Awards and his music video "Yours" was nominated for Breakthrough Video of the Year. This nomination caught the attention of Forbes because unlike his fellow nominees, the music video only cost $6 to make! The video shot and produced by his wife, Kailey. When they were out doing some test shots, good luck struck in the form of an unexpected storm. When the storm rolled through it provided them with an incredible lightning show and a shirt soaking downpour, special effects that people would pay big bucks for. The black and white music video is the perfect mix of sweet and stormy, featuring Russell walking down a country road in the middle of the storm and stealing kisses from his wife in between. It's hard to believe that the music video that cost $6 worth of gas money has been viewed over 22 million times on YouTube! 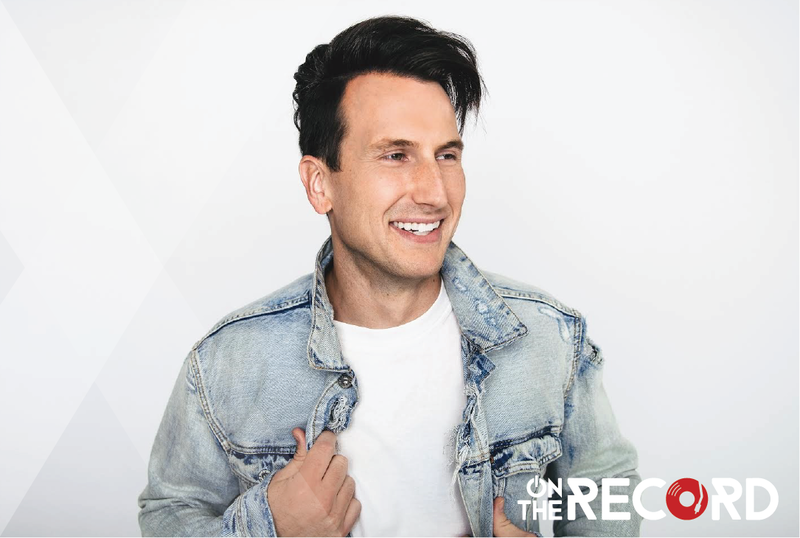 We can’t wait to have Russell Dickerson on stage at the MAX HQ for On The Record and hear about his upcoming summer tour with Lady Antebellum and Darius Rucker!